Another new upcoming Transformer on display at China’s Cybertron Con is the recently announced Masterpiece Rodimus Prime figure. The version on display is still only in the prototype stages that has yet to be painted. Images can be seen at TFW2005 and TFormers. 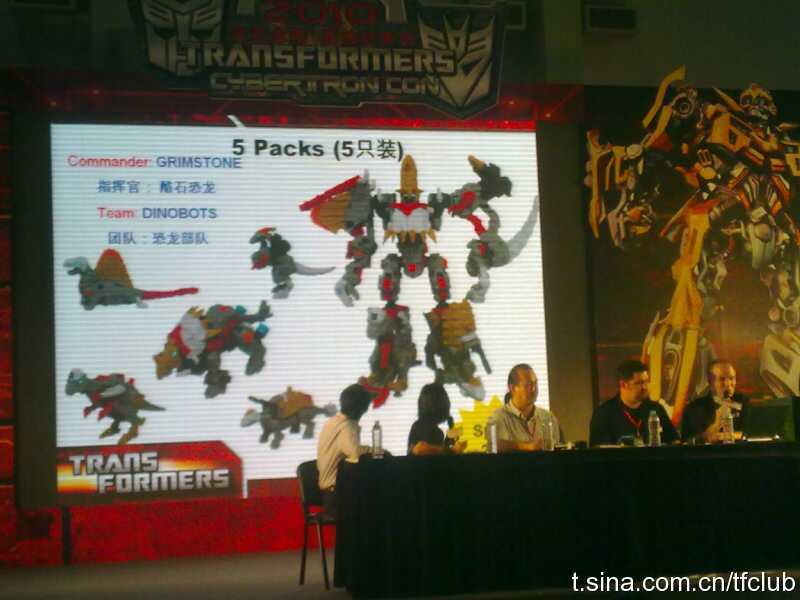 While the Hasbro TF Comic-Con panel didn’t deliver much newness, across the Pacific in China, Takaratomy revealed some amazing new stuff, like Goldbug, Legends gun Megatron, Deluxe Tracks, Perceptor, a few realistic Animated characters, PCC Dinobot combiners, and more! Check out the pics at TFW2k5 and check out more at Tformers. Courtesy of artoni of TFW2005. Back on July 17th, 2008, TFV opened its doors to our little group, and the idea that all views from the Transformers community are welcome. Today as we look back on the first 2 years and over 15,000 forums posts, as well as dozens of questions answered in the official Hasbro Q&A program, we also look to the future of Transformers and what our group can do with it. Thanks for the first 2 great years, and to many more to come! Post your thoughts in the anniversary thread. Dengeki online has an image of the upcoming Movie Masterpiece MP-M01 Starscream. Amazon Japan also has an excellent image of the figure. 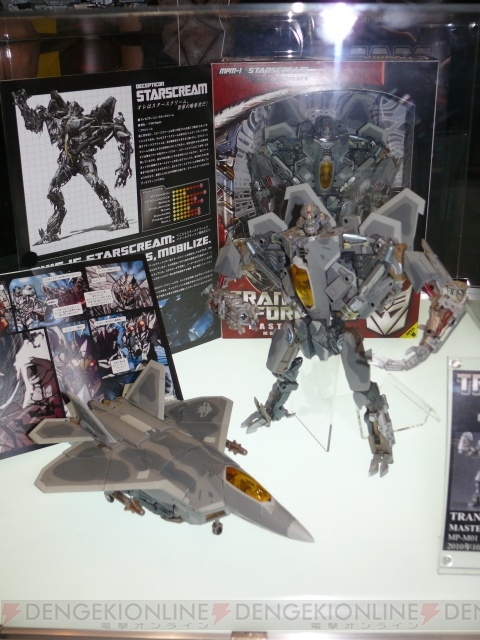 This Japanese repaint of the US Leader-class Starscream’s expected release date for Starscream is October 2010. This week at Toys R Us stores, pretty much all Hasbro products are buy 1, get 1 half off, and not just of the same brand. So you could buy 1 Transformers figure and 1 Star Wars figure, and the discount still applies. This sale will continue until the 18th, according to in-store signage, and since TRU has been told by Hasbro to set aside the August street date on almost everything Transformers, they have a lot of new product right now. Good luck, and good hunting!